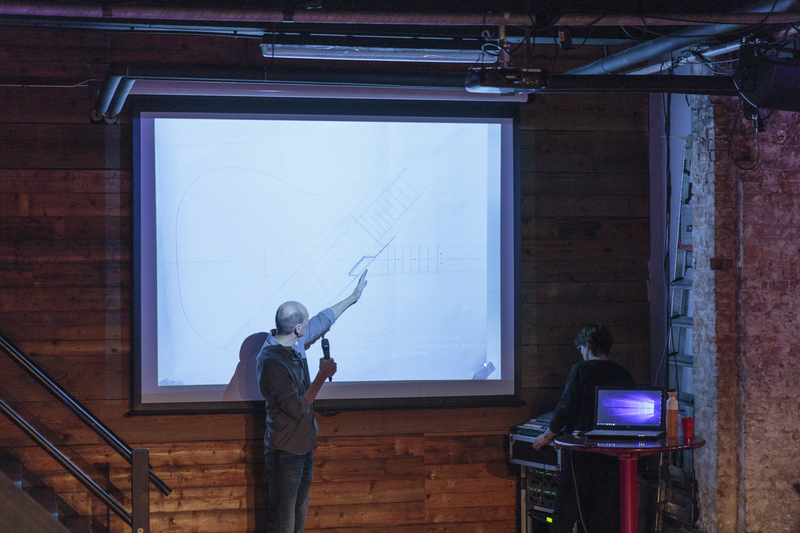 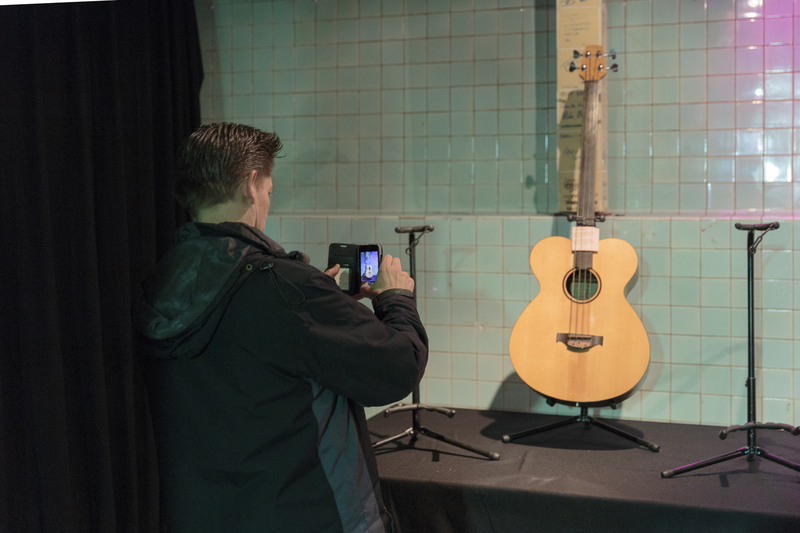 It's been 25 years since the first Heeres guitar was built! 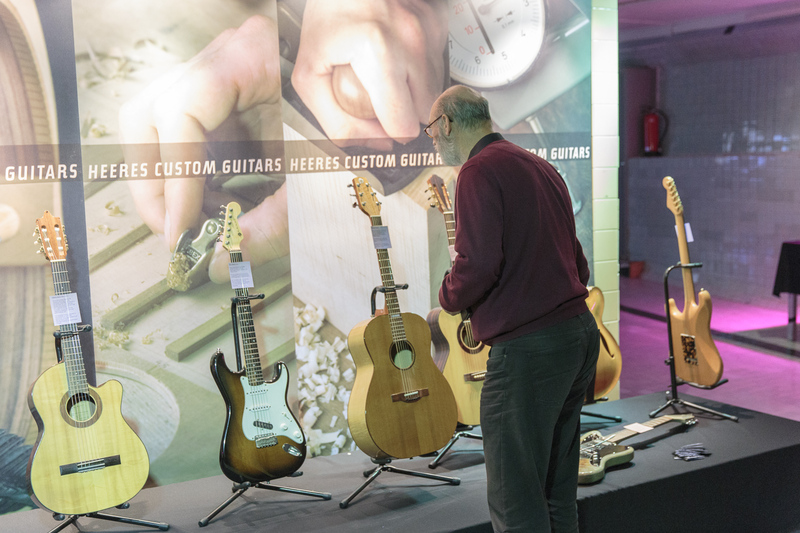 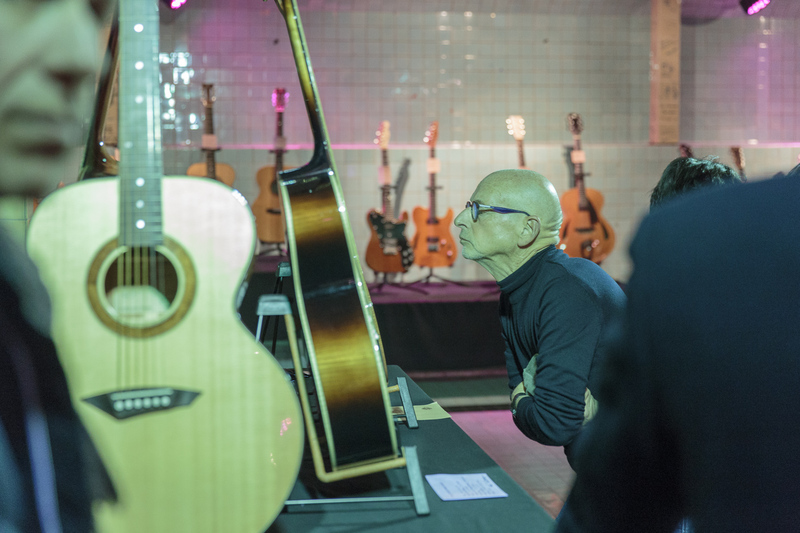 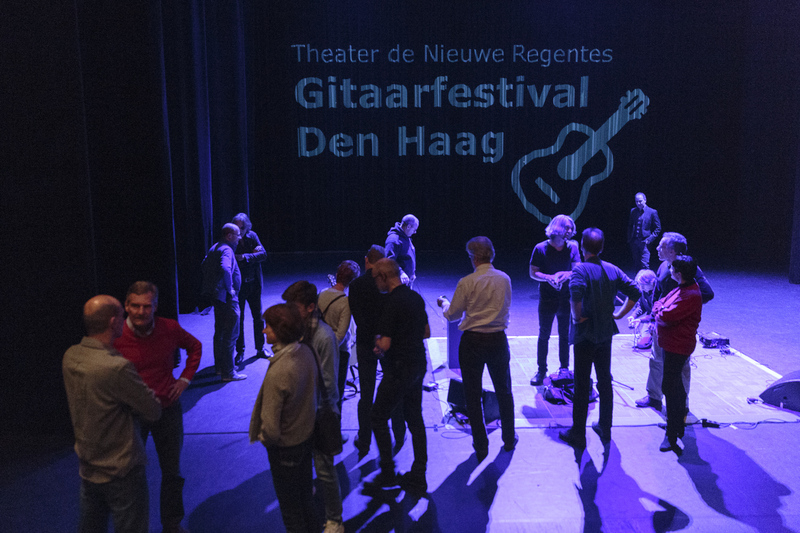 We celebrated this feat with the first edition of Guitar Festival The Hague at 'De Nieuwe Regentes' theatre on November 25th, 2017. 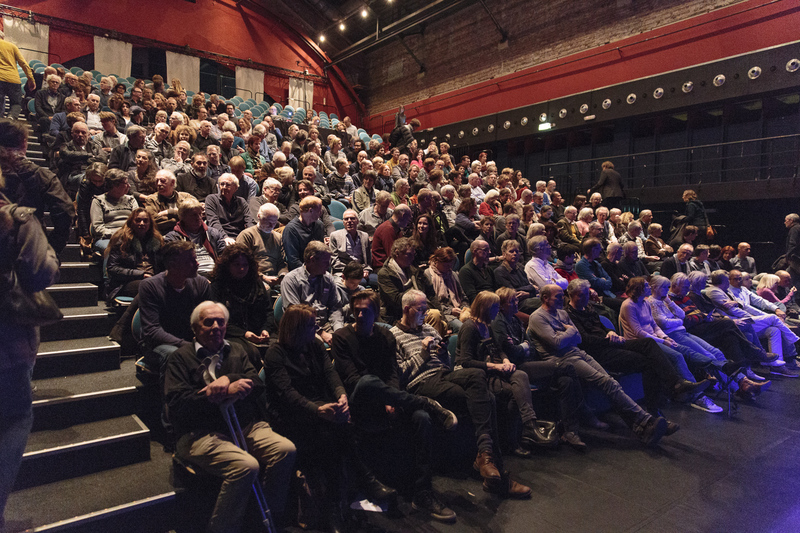 The day was packed to the rafters with an exhibition, lectures, workshops, movies and concerts. 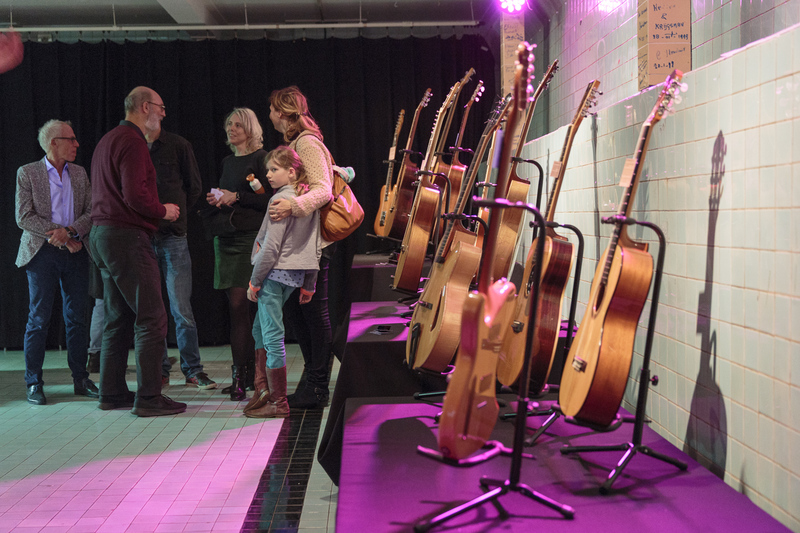 An overview of the day can be seen in the clips and slide show below. 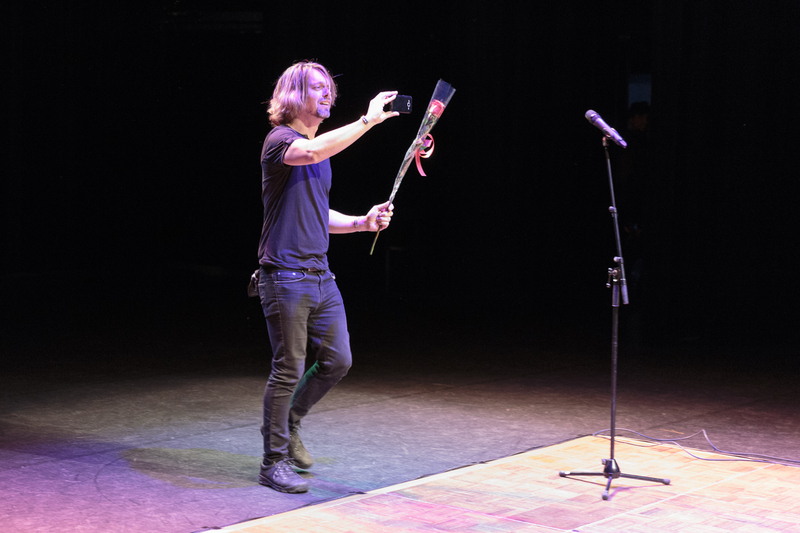 Be sure to come back. 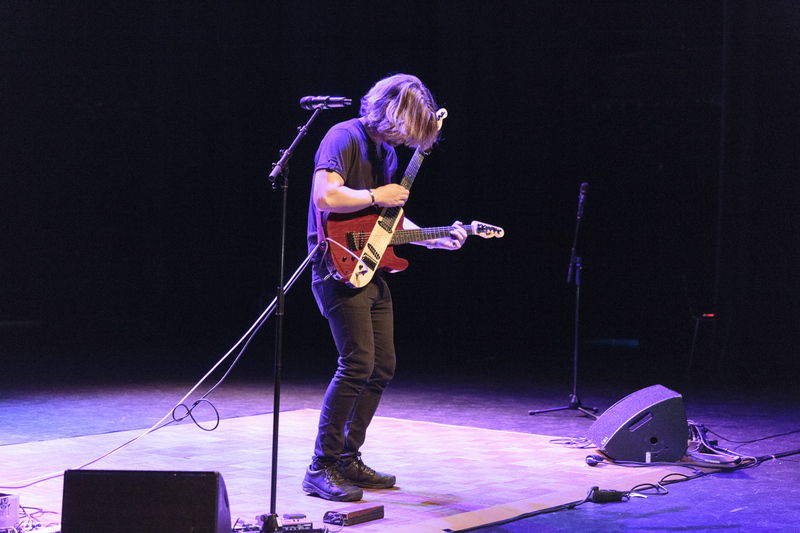 More clips soon! 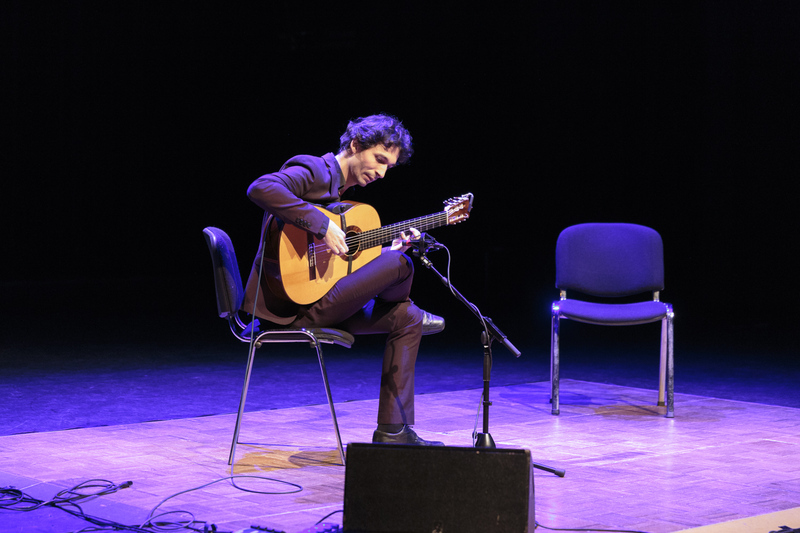 Classical guitarist Fernando Riscado Cordas opened the evening with pieces by Torroba, Ponce and Albeniz. 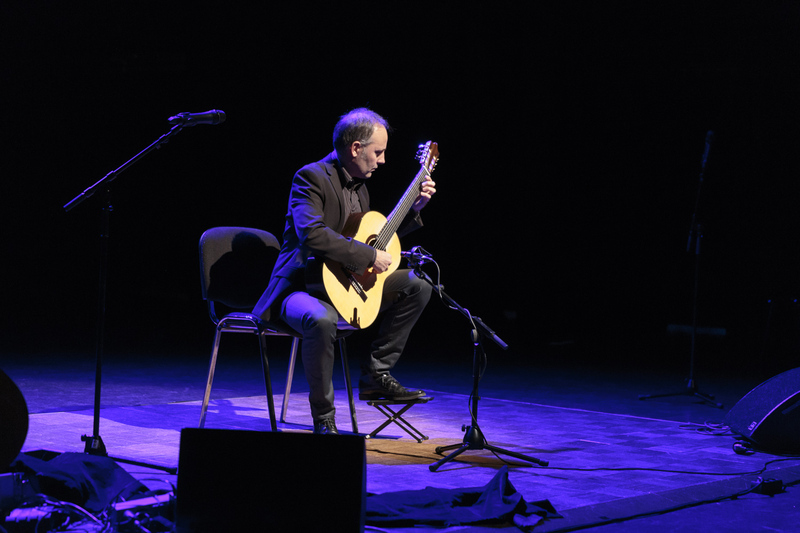 For his first ever solo performance, jazz guitarist Marcio Philomena played 20 minutes of standards and original pieces. 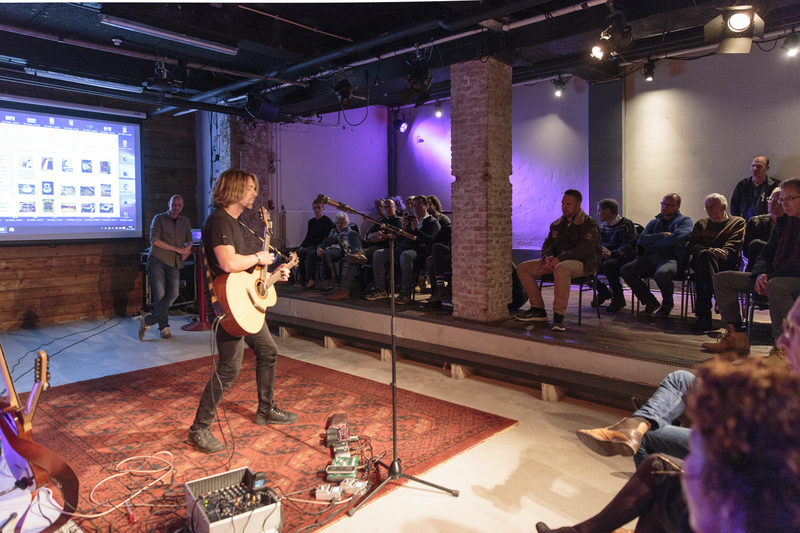 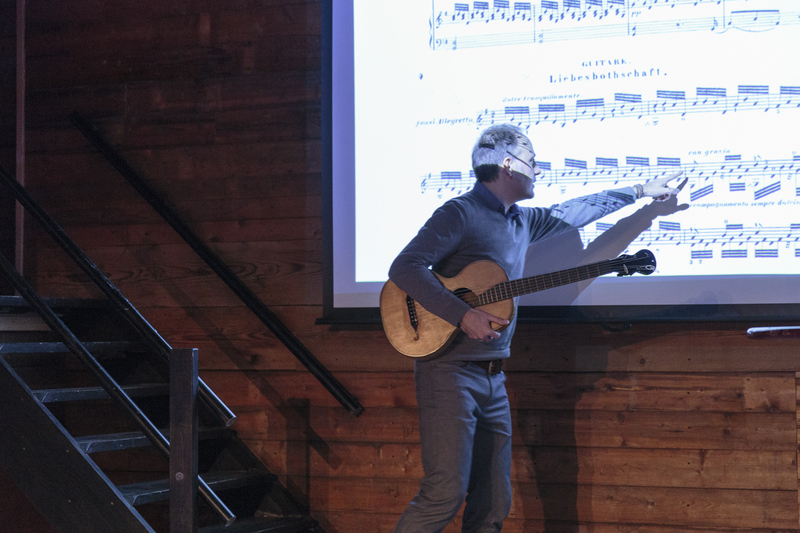 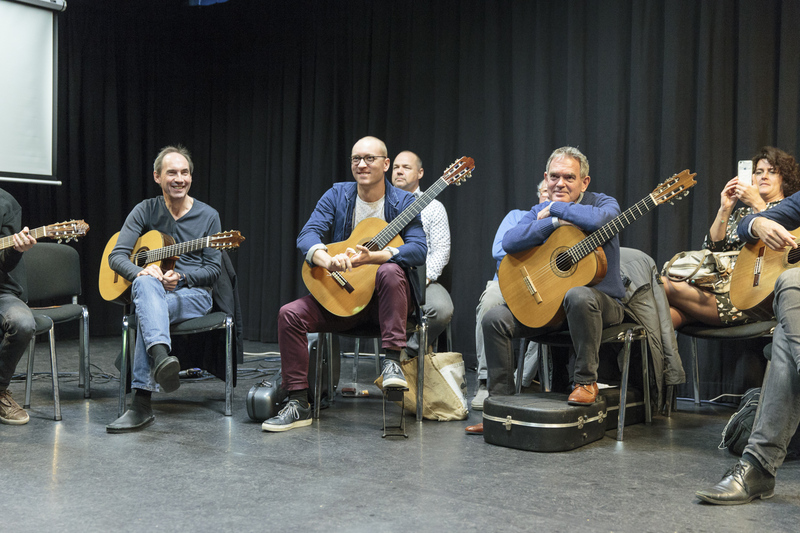 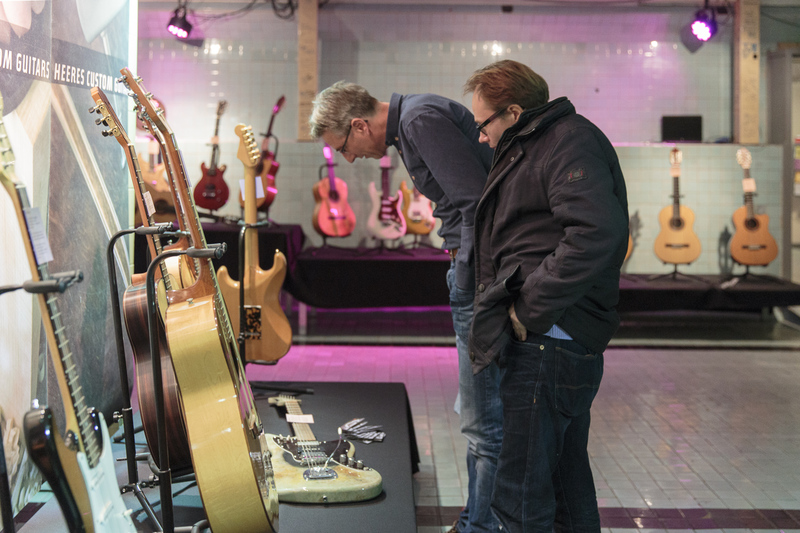 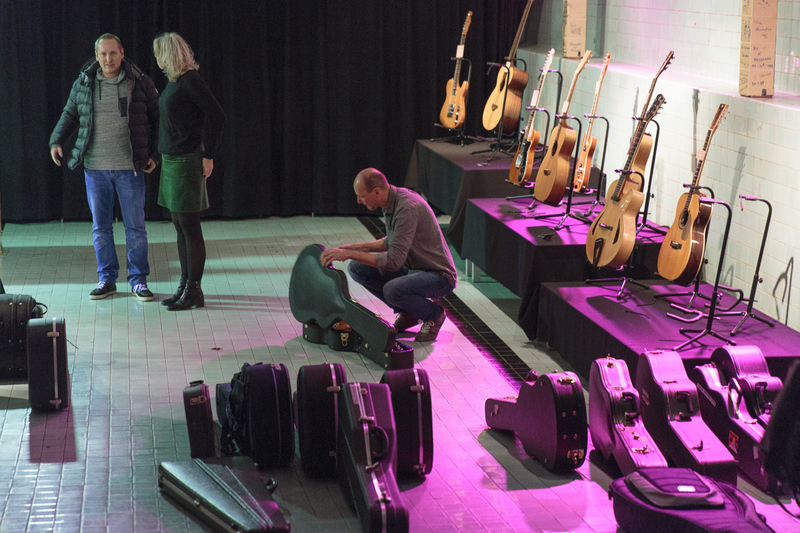 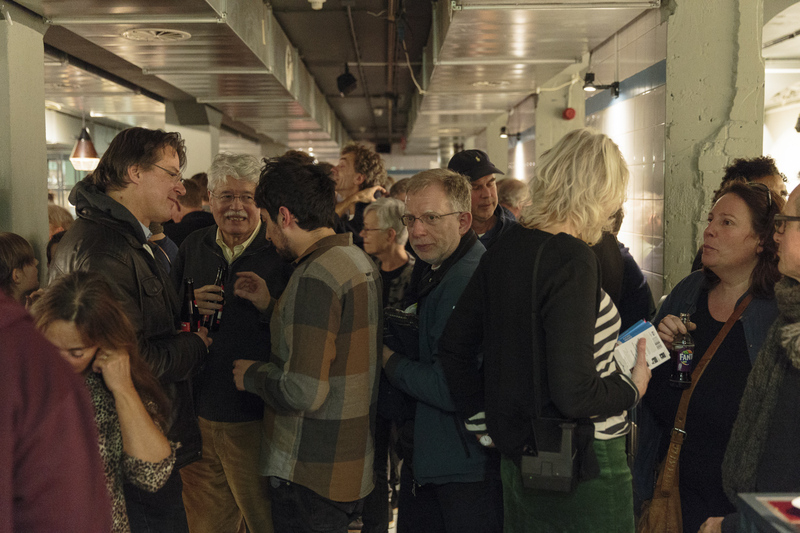 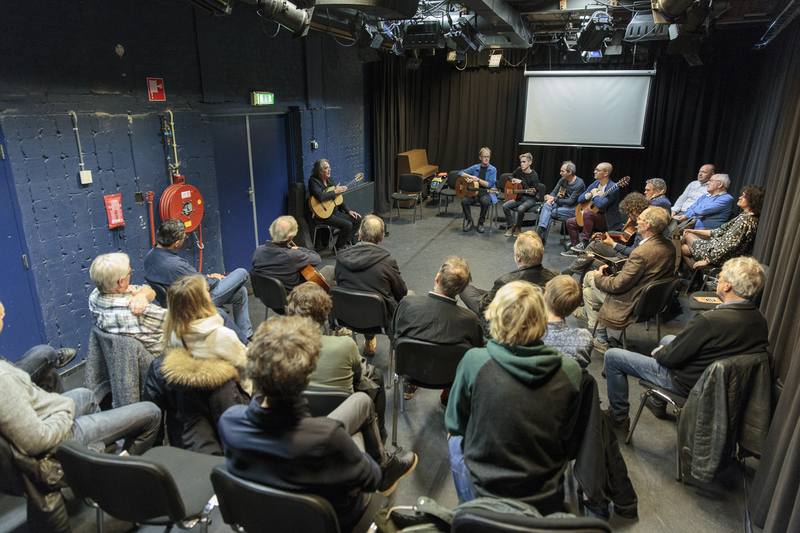 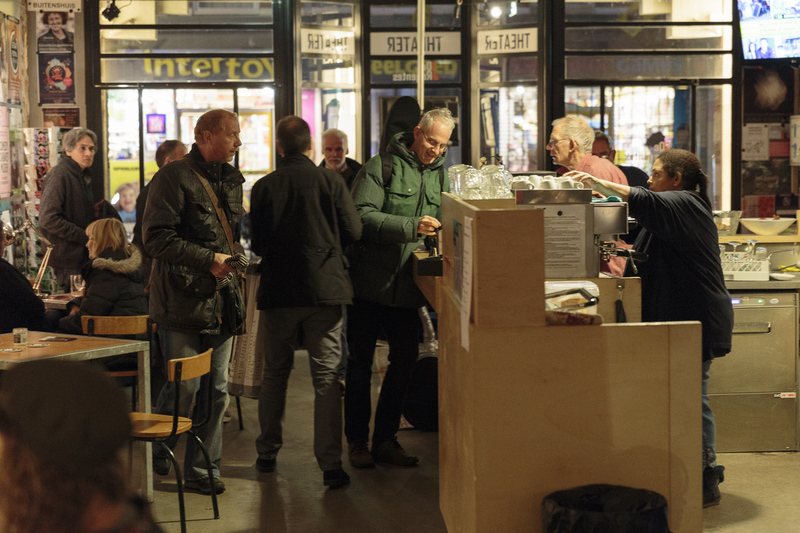 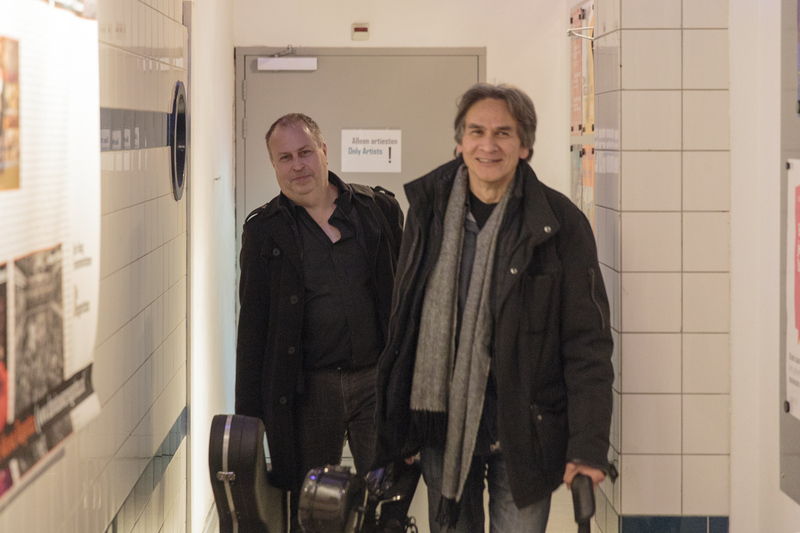 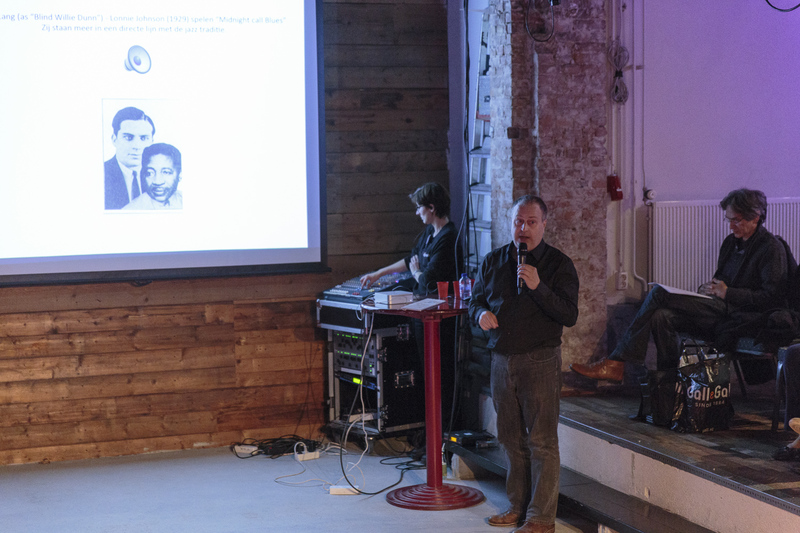 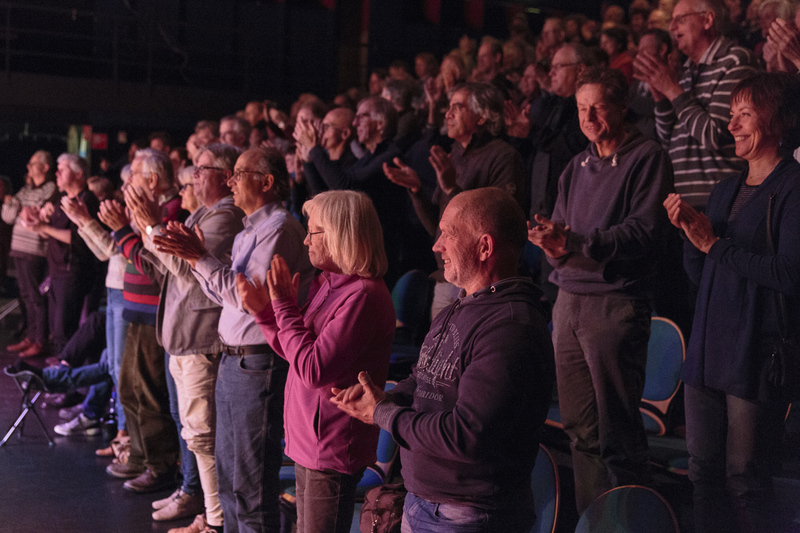 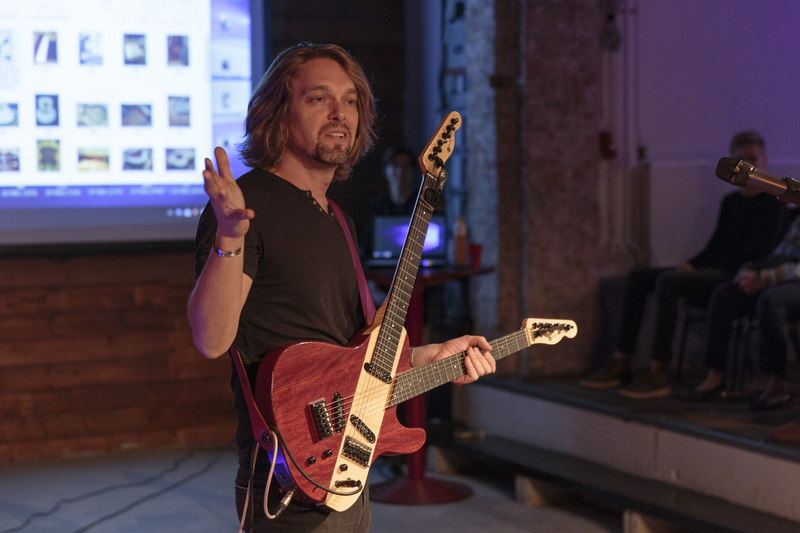 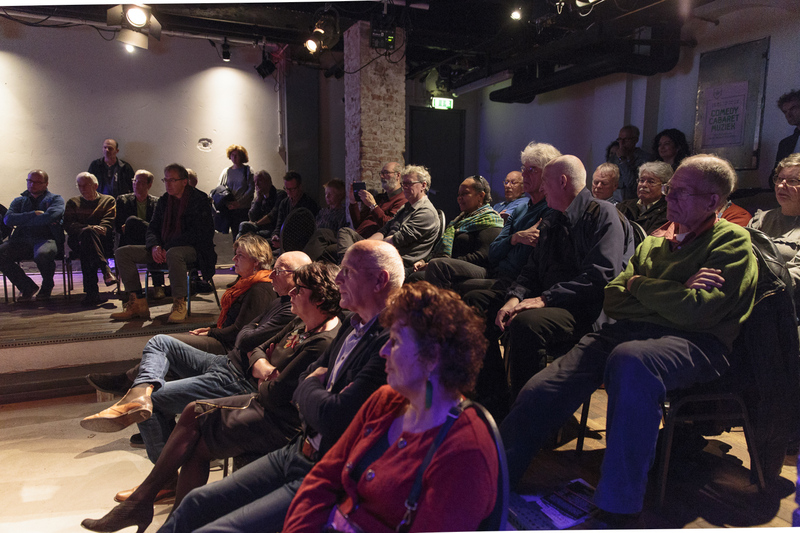 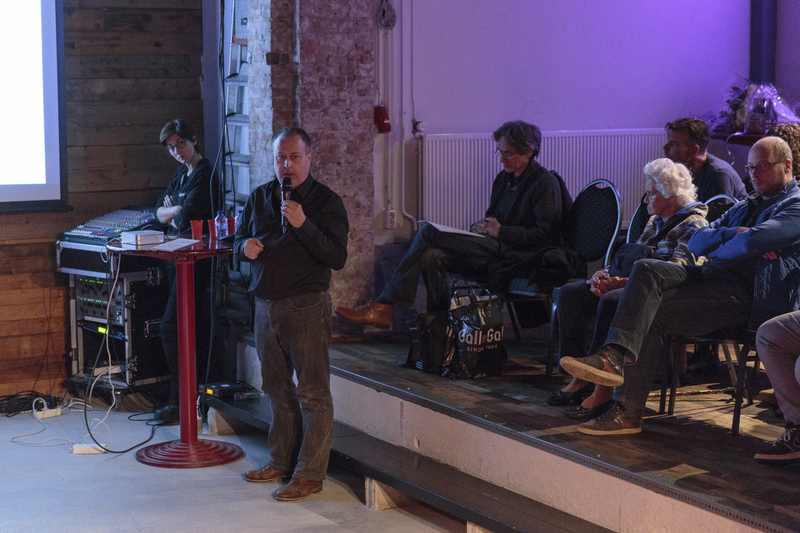 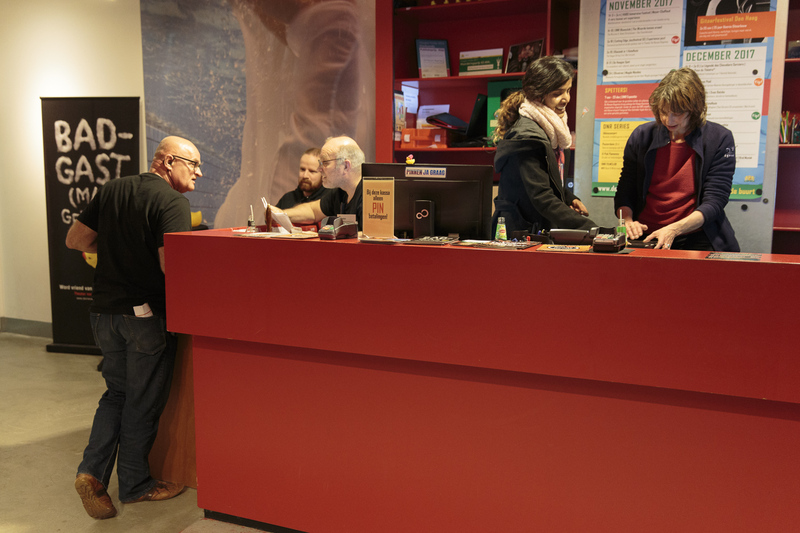 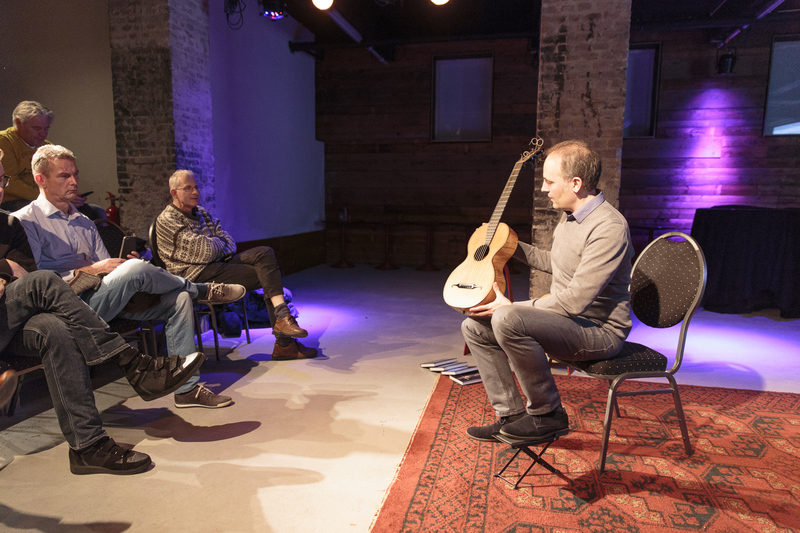 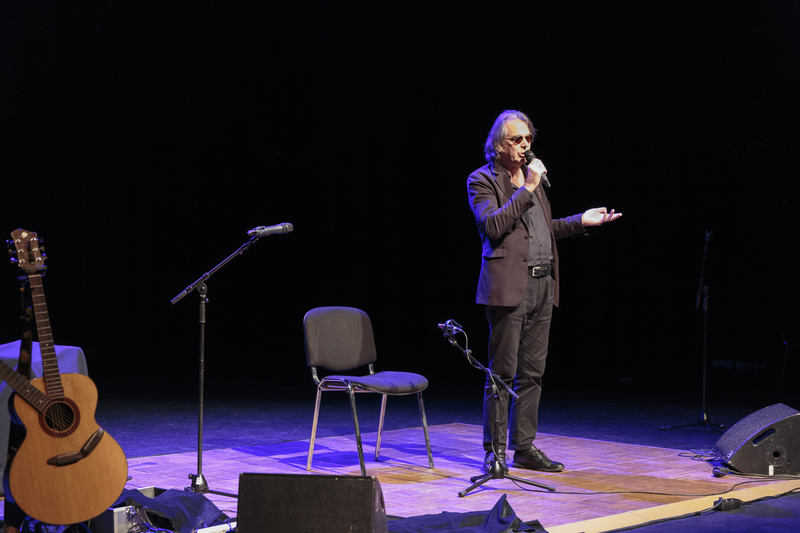 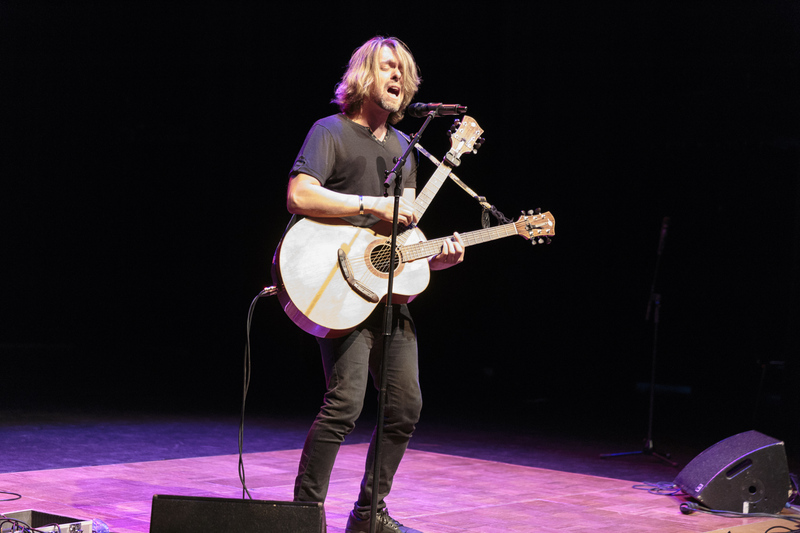 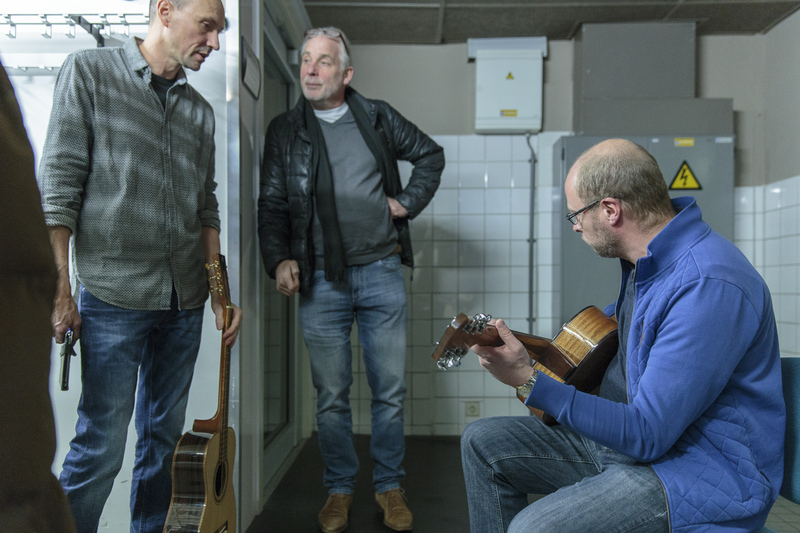 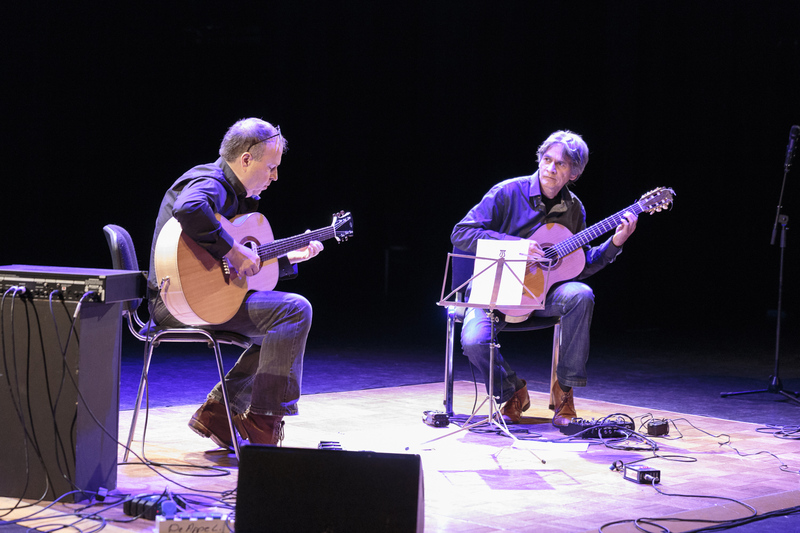 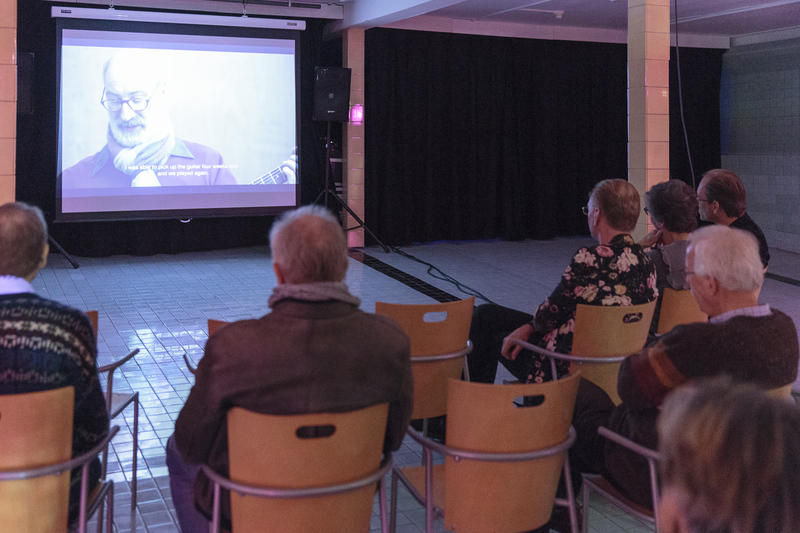 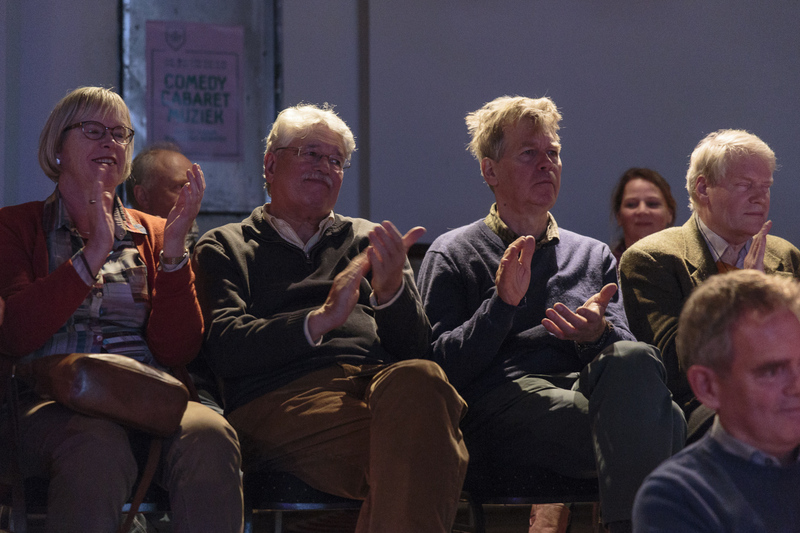 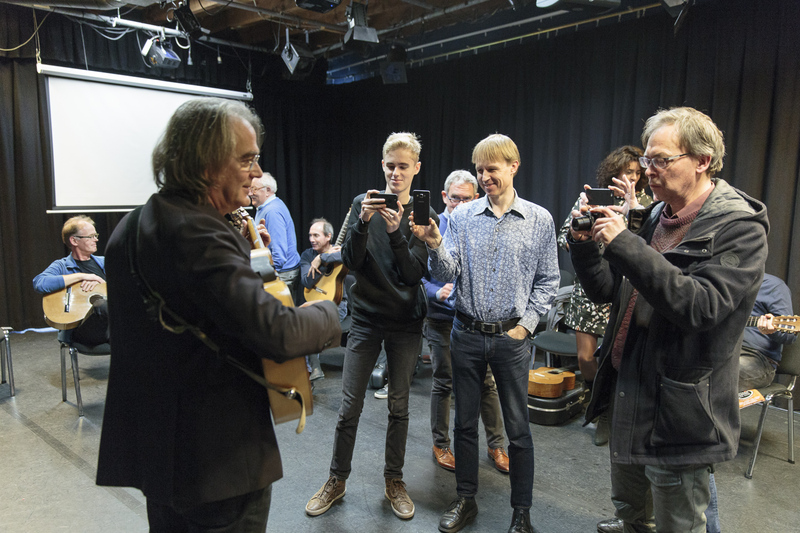 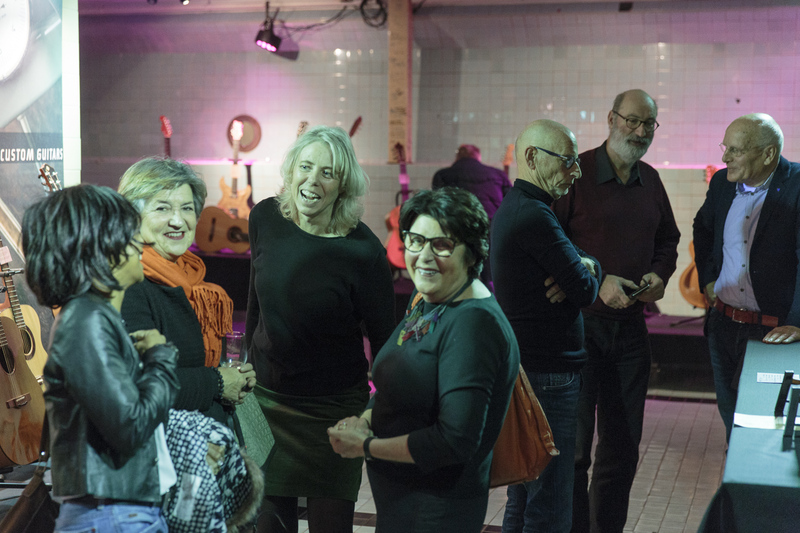 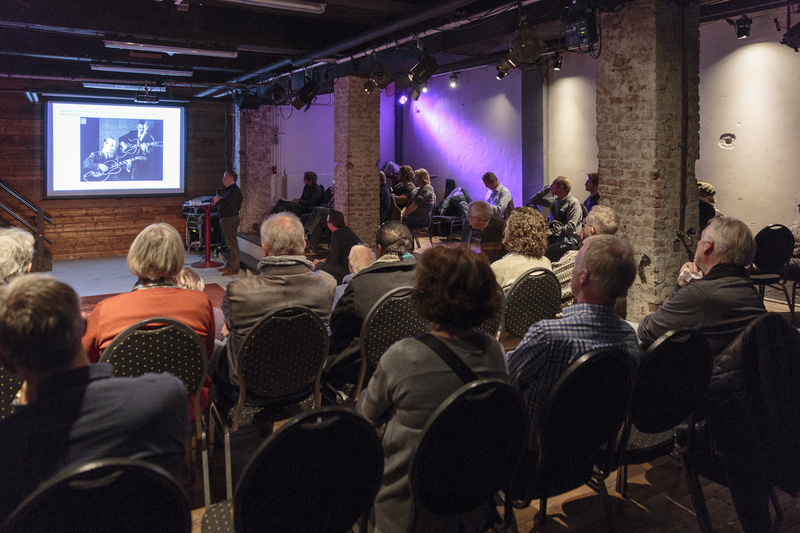 Jazz guitarists Axel Hagen and Olaf Tarenskeen took the audience through 20 minutes of continuous music, connecting John Coltrane, an original piece and Django Reinhardt through free improvisation. 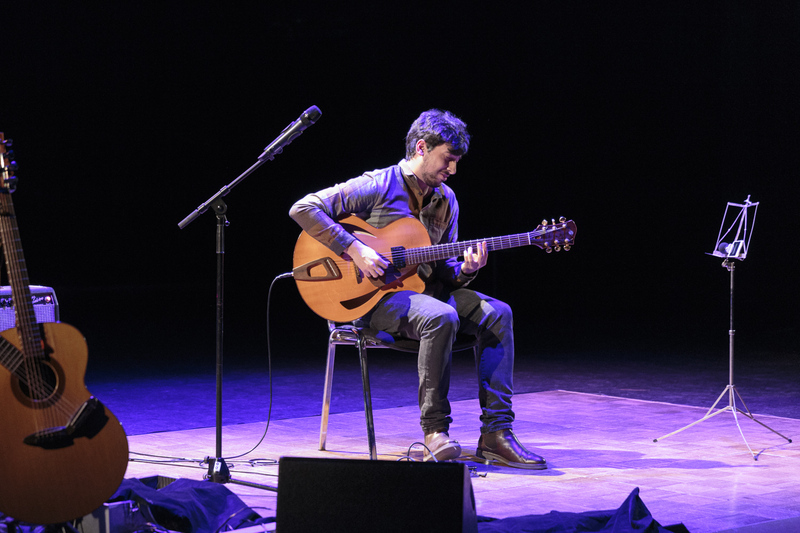 Arturo Ramón played a Tarantas, a free flamenco style that originated in the Andalusian province Almería. 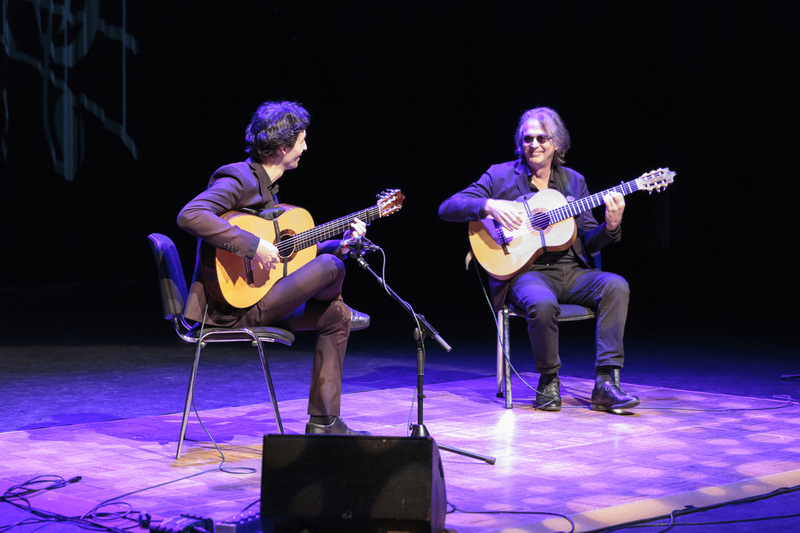 Flamenco guitarists Johan Frauenfelder and Arturo Ramón both played solo, but also performed as a duo, playing some of Paco de Lucía's falsetas. 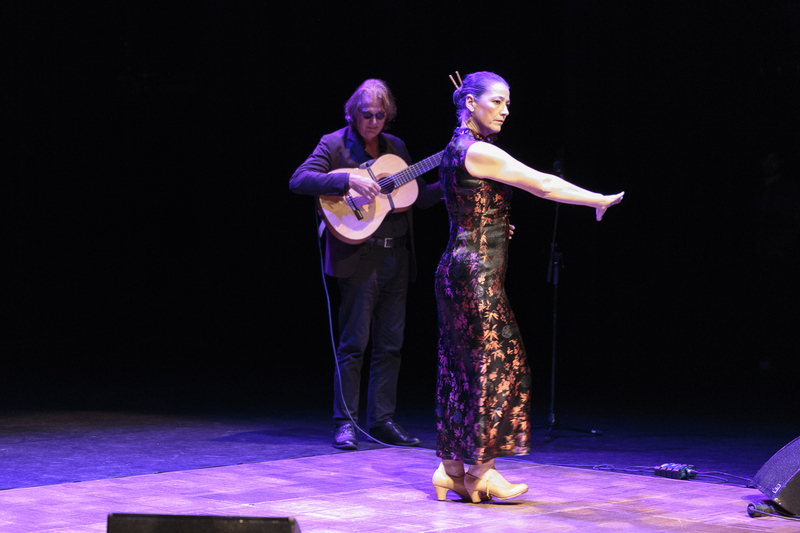 We closed the evening with a performance of choreographer and dancer Karin Eij, to a siguiriyas by Johan Frauenfelder.